Germany and France have pledged to do all they can to strike a global climate deal by the end of the year. At informal talks in Berlin, both countries stressed the need for economic incentives for decarbonization. Speaking at the opening of this year's "Petersberg Dialogue" talks, which have been held every year ahead of UN climate talks since 2010, German Chancellor Angela Merkel said in Berlin on Tuesday that Germany would "double its contribution to fight climate change until 2020, based on 2014 levels." She stressed the need to involve and support developing nations in the global fight against cutting carbon emissions, saying that the global action taken "in the next 15 years will be crucial." Both Merkel and Hollande emphasized that incentives for business are essential to "reach an ambitious, comprehensive and binding UN climate agreement by the end of this year," according to a joint statement released ahead of the talks in Berlin. "Climate change and prosperity have to go hand in hand," Merkel said, adding that the fight against climate change could not come at the expense of competitiveness and that "we cannot go without growth, we just have to generate it in a different way." 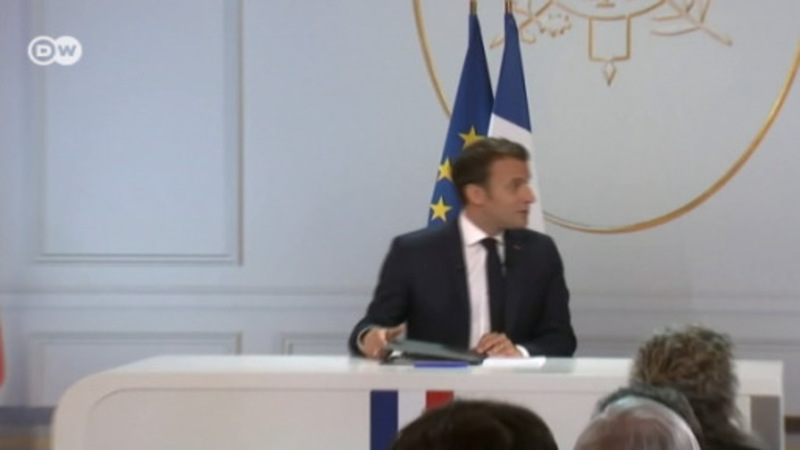 Hollande, who spoke after the chancellor, also stressed the need for "technologies that allow for lower emissions," and that the international community must "think about innovative ways to attract investment." Both leaders also stressed the need to create a "global market for the pricing of CO2," according to Hollande. Merkel said reforms of existing emissions trading schemes' were badly needed. The Petersberg Dialogue talks, which are attended by representatives of 35 countries, come ahead of the UN Climate Change Conference, which is hosted by Paris this year. Germany currently has the G7 presidency and has made the fight against climate change a priority. Hollande has set out an ambitious goal for the Paris meeting: an agreement to limit the rise in global temperatures linked to greenhouse gas emissions to 2 degrees Celsius (3.6 Fahrenheit) from the pre-industrial age. The world's biggest nations are being pressed to make pledges of CO2 cuts in advance. So far 37 have announced such pledges,including Germany. "As the common vision we seek to pursue with all partners in the UN, we will strive to decarbonize fully the global economy over the course of this century," Merkel and Hollande said in their statement. Decarbonization would mean the world will no longer use any fossil fuels generated from oil, gas and coal. Merkel stressed that she would use the next G7 summit at Elmau Castle in Bavaria in June to remind her Western partners that from 2020, they have pledged $100 billion (89 billion euros) annually to fight climate change at the global level. The funds are specifically aimed at assisting developing economies in their efforts to establish environmentally sound energy technology without forfeiting growth. Representatives from Germany, France and other nations are currently in Berlin for the Petersberg Climate Dialogue. DW explains what the annual meeting is and why it's important for the next UN Climate Summit in Paris. Germany: Leader in a global energy transition? The chancellor has fought for international climate agreements but critics say she has let industry profits win out at home. What will another four years of Merkel mean for Germany's battle against carbon emissions? Two weeks, 25,000 people, late-night compromise: This year's UN climate talks were more process than results. But important threads emerged — at official negotiations as well as on the sidelines. And, there's still hope!